After remodeling her newly purchased home two years ago, Marion Philpotts Miller furnished her living room with Asian accents and a neutral color palette for a contemporary feel.Beyond the doors to this Maui haven lies an inviting infinity pool, mere steps from the ocean. You might have your own ideas about what makes a room beautiful. But just how do rooms professionally designed by one local firm stack up against rooms designed by interior designers from around the country? 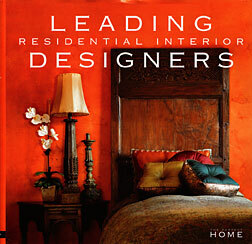 Turn to the coffee-table book "Leading Residential Designers," a new release from "The Perfect Home" book series published by Sandow Media Corp. Along with the other two books in the series, "Leading Residential Architects" and "Leading Residential Landscape Professionals," the national compilation design book offers a look at rooms put together by 42 firms from around the country. The work of leading regional design firms is showcased in more than 300 color photos, and there are as many looks as there are designers. From Oregon comes a cool-toned, sleek family room with brushed steel accents and an urban sensibility by the AmatoJohnson Design firm; in Pennsylvania the look submitted by Katherine Rogerson Interiors is a traditional, wood-paneled living room with walls painted a buttery yellow. So who was chosen to represent Hawaii? Philpotts & Associates Inc., the full-service design company with 35 employees, provided examples of two projects for the book. The firm typically completes five to 10 projects a year, in particular high-end residential and new-construction projects. "The publishing company reached out to us and approached us to be in the book," said Bill Philpotts, director of operations. "It was a pretty easy process. They gave us a questionnaire to fill out, and we had three go-rounds before we signed off with approval." "Their work was really spectacular," said Linda Frank, associate publisher at Sandow Media. "They were great candidates -- especially their commercial projects." The company showcases two homes in "Residential Designers" -- a Maui spec home and the living room of Marion Philpotts Miller, a designer for the family company and Bill's sister. Philpotts Miller bought her Nuuanu Valley home two years ago after moving from San Francisco and began remodeling because of severe termite damage. 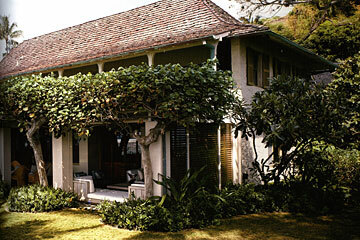 In Philpotts Miller's home, the goal was to "remodel the home and bring it into the 21st century yet retain its unique characteristics," said Bill. "It actually would have been easier to knock the home down and rebuild, but we were able to save the hardwood floors. The remodeling took about 10 months to complete and only about a month to redecorate." The result is a contemporary interior space with an East-meets-West feel. The refurbished floors are a focal point throughout the home. "Our design philosophy is to create lasting value," said Bill. "Hawaii is a very unique place, and we want to bring our clients to that understanding." For its work on the Maui home, Philpotts & Associates won the 2004 ASID design competition for a single-level residence. "We thought it was a good choice because of the award. We completely furnished it down to the spoons," said Bill. "We thought this was a good pick for the book because our firm is known for rustic, elegant provincial designs, and this was a good example." Books in "The Perfect Home" series are sold at Barnes & Noble, Borders, Amazon.com and other bookstores. Books are $39.95.